Many visitors ask for the secret behind our rodeo success. When its all said and done, you can give credit to the quality of people involved. The Rodeo Committee and the many other volunteers are determined to make That Famous Preston Night Rodeo a memorable experience for all that participate. That Famous Preston Night Rodeo was awarded Large Rodeo of the Year in Idaho for the Wilderness Circuit! This award is a great honor and is voted on by the cowboys. It is based on their overall experience at the rodeo, our production, our arena, and our hospitality. This is the third year we have received this award. In 2013, it was for Best Small Rodeo in Idaho, but we increased our purse to move us into the big rodeo status, so 2014 and 2015, we won Best Large Rodeo. What a great honor for our event!!! 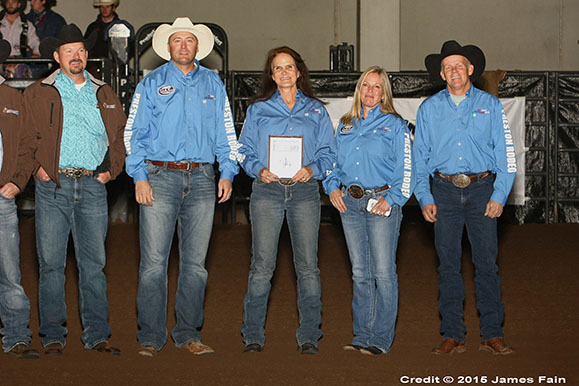 We have been Best Large Rodeo in Idaho for the Wilderness Circuit for 2013. 2014. 2015, runner-up in 2016 and we have received awards for arena dirt at the NFR in Vegas every year for the past 6 years! Find out more on our Facebook Page. Each current member of our rodeo committee has served for many years. Each spend countless hours throughout the year to make sure this event continues its successful heritage. The members have assignments of sponsors, tickets, arena maintenance, queen contest, advertising, the list goes on. The chairman is Kris Beckstead with Thane Winward, Richard Swainston, Sheryl Kimball, Doug Webb, David Jeppsen and Jeff Hollingsworth. Most members are lifelong residents of Franklin County and is personally connected to the tradition of the rodeo. 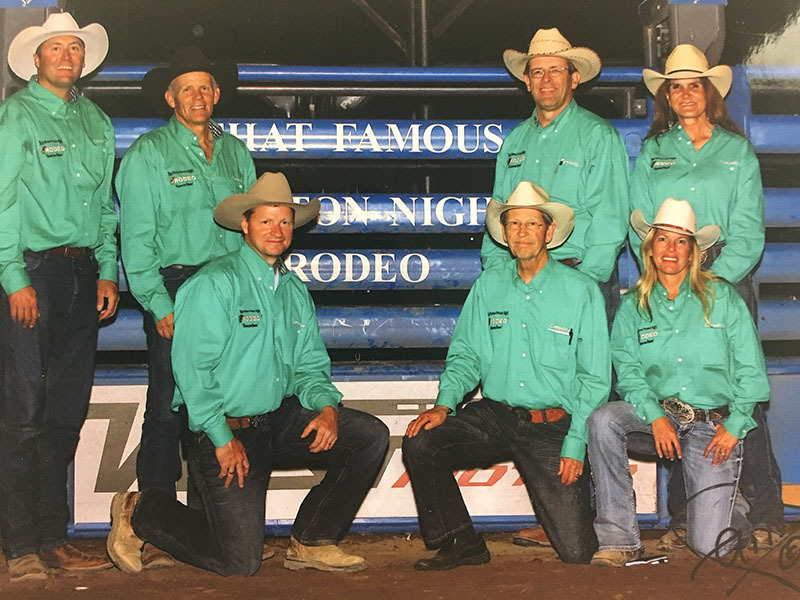 They pride themselves on keeping the rodeo progressive and solvent, without any public taxes or funds.Standing from the left: Dave Jeppeson, Jeff Hollingsworth Thane Winward, Kris Beckstead . Kneeling from the left: Richard Swainston, Doug Webb and Sheryl Kimball. 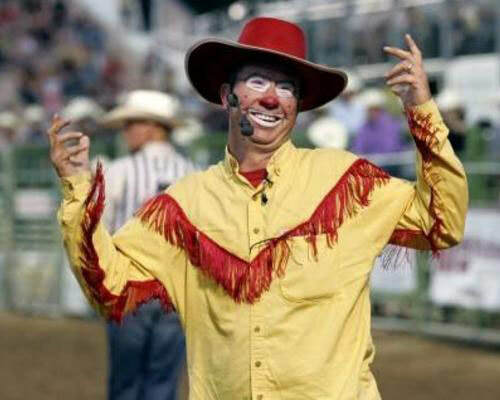 John Harrison is one of the top rodeo clowns in the Professional Rodeo Cowboys Association. He works the crowd and provides entertaining acts through the rodeo. He was awarded the Coors Man in the Can. He picked up Comedy Act of the Year three times in a row, presented by the Professional Rodeo Cowboys Association (PRCA). Harrison will give you the fun, lively atmosphere you should expect & enjoy at a rodeo. Pro Rodeo is a competitive sport between cowboy contestants and healthy rodeo animals, bucking horses, bulls, steers and calves. The people who breed, raise and care for those animals are known as the stock contractors and are perhaps the single most important factor in the production of a successful rodeo. The Bar T Rodeo Company was founded in the red rocks of Moab, Utah over 60 years ago by Pro Rodeo Cowboy Hall of Fame inductees, D.A. “Swanny” Kerby, his wife Verda, and their son Rex “Bud” Kerby. Swanny brought the first rodeo to Utah and continued to produce top quality rodeos all across the western United States. Bud and his wife Evelyn took the Bar T to the next level making it a Utah state icon and one of the top rodeo companies in the United States. He built a breeding program that today is one of the most sought after horse herds in the world. Bar T Rodeo has been awarded twice with the PRCA’s prestigious Remuda Award in 2005 and 2011. They have won PRCA horse and bull of the year several times most recently in 2011 Fancy Pants was nominated as best saddle bronc horse of the Wrangler National Finals Rodeo. They have been awarded many times with the top stock awards for the Wilderness Circuit. 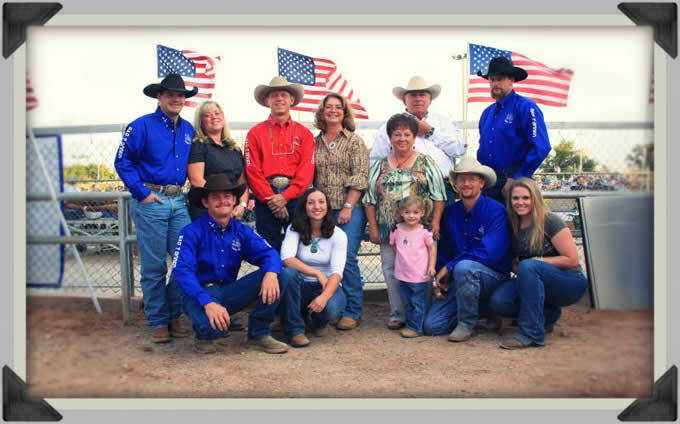 In 2002 they helped to produce the first Olympic Rodeo in Farmington, Utah. Bar T Rodeo has had stock nominated to attend all of the Wrangler National Finals Rodeo’s since 1959. Today the company is owned by Bud and Evelyn’s Daughter Wendie, her husband Jeff along with their son Cody Flitton. 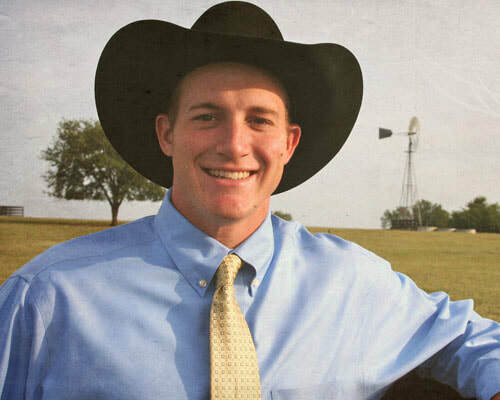 The Flitton’s added to the company’s breeding program in 1999, they started a bull breeding program, which has produced many award winning bucking bulls. The Bar T is operated by many of the Kerby and Flitton family members you will even see fifth generation grandchildren doing their part to help during their performances. The Bar T Rodeo family works hard to maintain the high quality bucking horses and bulls that the company has been known for and generations of cowboys have preferred. They have a goal to preserve the western heritage and the sport of rodeo. They want to make sure that for many years to come generations of families have the opportunity to enjoy top quality professional rodeos.